Salima, an international trade show, took place in BRNO, Czech Republic from 27th February – 2nd March and provided a total concept of services for the food industry. The exhibition is considered one of the biggest shows in Central and Eastern Europe due to an extensive representation of professionals from food, beverage and processing industries. Next to impressive demonstrations of industrial equipment, visitors had a chance to taste food, wine and beer provided by microbreweries. 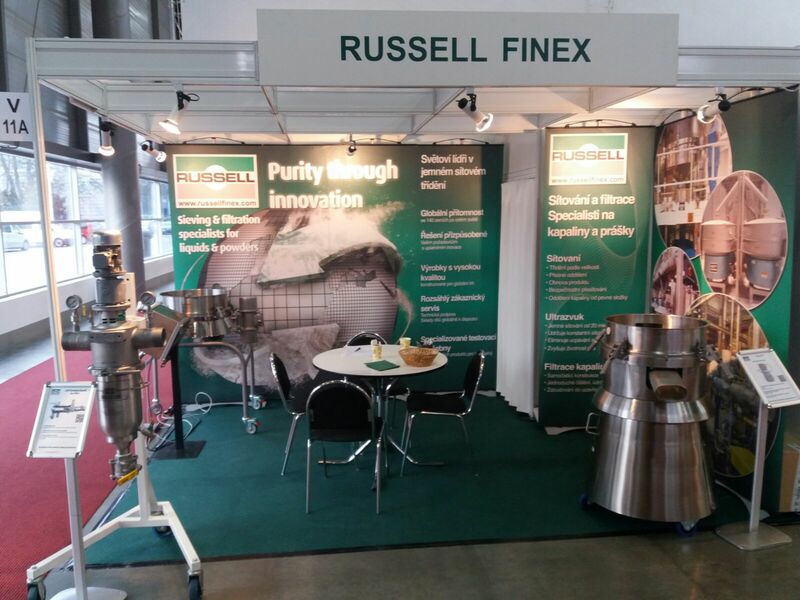 As a manufacturer of high-performance separation equipment for the food processing industry with more than 80 years of experience, Russell Finex exhibited their industrial sieves and filters at Stand 011A in Hall V.
- The Finex 22™ Sieve is ideal for sieving powders and granules in continuous operation or in batches. - The Russell Compact Sieve® combined with a mesh deblinding system the Vibrasonic® provides continuous removal of contamination from powders and liquid slurries. - The Self-Cleaning Russell Eco Filter® removes of contamination from liquids such as honey, liquid chocolate and caramel. Contact Russell Finex to find out more about the range of separation equipment or how Russell Finex may help you solve any particular food processing problems.